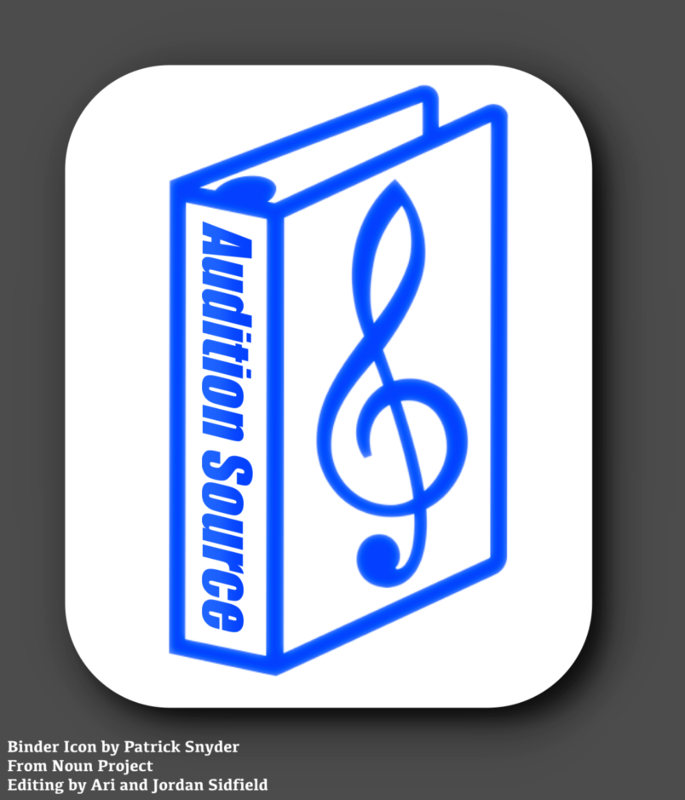 I'm excited to announce a really awesome start up I'm working on called "Audition Source!" Audition Source will be an online platform that is designed to help performing artists find the best audition materials and other professional resources for their repertoire, while helping the creating artists (composers, lyricists, and playwrights) get discovered, credited and paid for their material! -Links to sites or places where you can find and/or purchase sheet music, scripts and audio/video files or accompaniments. -Details such as character bios, vocal range, the show synopsis, song genre and style, etc. -Info about performers who may have done the piece/role before. Audition Source will also be a forum for performing artists to discuss and rate materials based on factors such as how often the material is seen, the difficulty of the accompaniment, and more! Here is another cool part: YOU can help add to the database! Simply fill out a form with as much information as possible to be uploaded to the database, which will then be validated for accuracy by a group of moderators, and PRESTO! Your material can be a part of the site. This will create an ever growing database of materials, which will be regularly updated for accuracy. See something missiing or incorrect? Let us know and we can make the changes needed! In order for this to happen though, I need YOUR help! My goal is $2000 for seed funding to start this business. I will be applying for a Fiscal Sponsorship with Fractured Atlas to help obtain grant funding. Fractured Atlas requires that you raise $1000 on your own, to qualify for grant funding and sponsorship. My projected deadline to meet my funding goal is January of 2018! I would like to mention that I am also doing a research project for school detailing the journey I am taking to start up this business, so the sooner I can move on to the next phase of the project, the better! I am accepting any amount you can give! Be it $100, $50, $25, $18, $10, $5, or even $1. If you cannot give to the project, I would also appreciate it if you could share my gofundme campaign on social media with your friends or family! It only takes a moment out of your day, and would mean a lot to me. Asking for help is extremely difficult, so I am incredibly humbled to be putting this out there and asking for your help in making this project a reality. I think that many artists would benefit from this website, and it would create an incredible new platform to help connect the performing arts community. To show you my gratitude in helping me fund this project, if you choose to not give anonymously, you will be credited on Audition Source. I am also going to be doing special online performances, with more details to come, to present another opportunity to recognize anyone that contributes. All contributors will get free swag and and discounted merchandise! Anyone who contributes $100 or more will also receive a free membership to the platform for all time! All that said, I appreciate any help you can provide, be it in a small contribution, or support in sharing my campaign and spreading the word. Anything helps! Thank you for taking the time to read about my campaign and I hope you have a fabulous day! Congratulations Auditioners! We made it to 25% of our goal!!! Please continue to share our GoFundMe page, the website itself, and like our page on Facebook to continue receiving updates on Audition Source's progress! Hello family, friends and peers! I know it has been forever since our last update! Please forgive me for being MIA on this project as Graduate school became extremely demanding of my time this last semester. Now that I'm in summer, I'm nearly finished with school. I happen to be doing my capstone thesis for grad school on this project so my time is now focused solely on making it happen! With that said, I still need your help! If you cannot donate to this project there are other ways you can help! I am in the process of building up a database of audition materials. 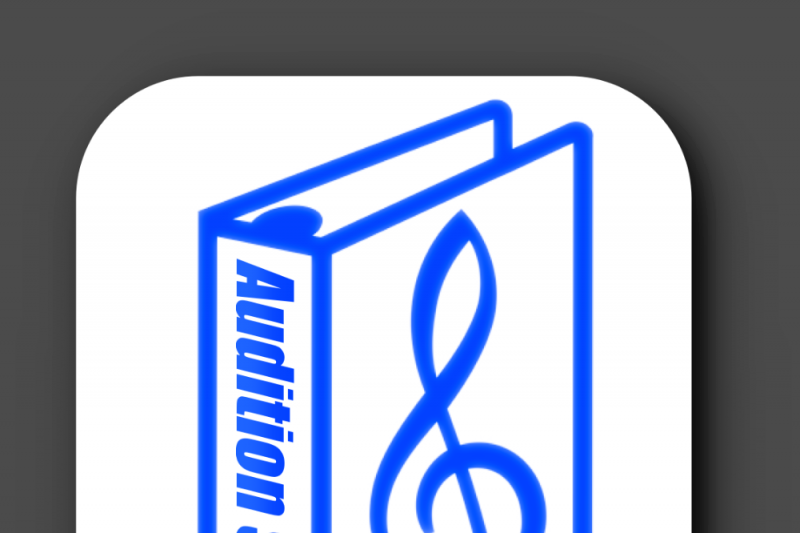 If you have just a minute, please head over to http://www.auditionsource.org/audition-materials.html and submit your favorite audition song in the submission form to help me grow this database. Another way you can help is by telling your friends about audition source and sharing this GoFundMe page! We are almost at 25% of our goal! If you or anyone you know would like Audition Source to become a reality, please share this page, and like us on Facebook! Hello everyone! Today is Giving Tuesday! Please help support my GoFundMe campaign for audition source by sharing my campaign on your social media pages or with family and friends and let them know about this awesome project! I’d greatly appreciate your help! Anyone who shares or contributes TODAY will also get a song dedicated to them! Hello everyone! Sorry for being MIA recently! Life, midterms and then the flu caught up with me and I haven't been as active and you guys deserve better! I just wanted you all to know what is coming next! Now that we've hit over 15% of our goal, I'll be starting to use the funding you've contributed to help start Audition Source! The first will be to pay for the domain and hosting fees to get the website running! Keep your eyes peeled! I'll be sending you a private look at my first drafts of the site!